Aesthetics is the philosophical branch of inquiry concerned with beauty, art and perception. From its philosophic roots in ancient Greece, where thinkers like Socrates and Plato considered the inherent meaning and beauty of things, aesthetics is also used to refer to the critique of art and design. The word – aesthetics – derives from the ancient Greek word aisthanomai, which means perception by the senses. As such, it is used in modern English as a noun, in the sense that something can appeal to the senses. Since the meaning of the word relies upon sensory perception, its definition is fluid, varying through time, and it is subjective, differing between people and cultures. In a more general sense, aesthetics as a philosophy, refers to the study of sensory values. This means the judgement or evaluation by the senses and through time has come to refer to critical or philosophical thought about art, culture and/or nature. A subfield of axiology, the philosophy of art – aesthetics is interested in ways of seeing, and of sensing the world. As a field of study, aesthetics involves ways of seeing and perceiving the world, as well as new and novel interpretations. In a contemporary sense, aesthetics can be used to reference a particular style or design. For example, a culture that uses a motif through many areas of design and function can be said to appreciate or adhere to a specific aesthetic. As a critical study, aesthetics assumes an ability to judge on a sensory level, as well as a collective agreement about ideals of beauty. 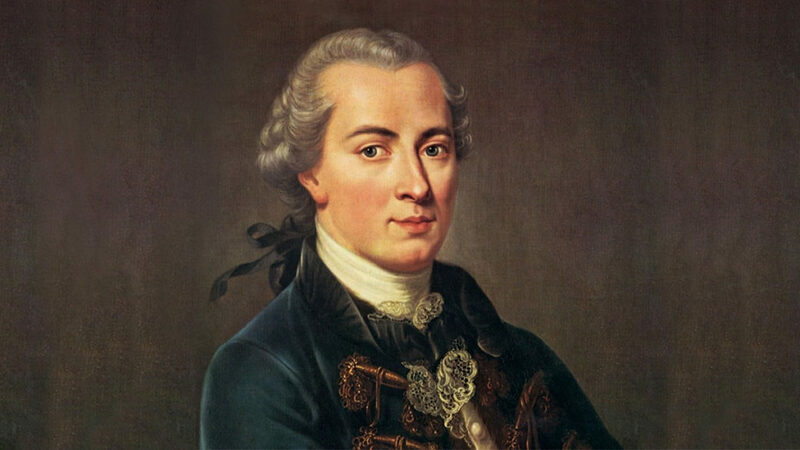 The philosopher Immanuel Kant distinguished between an object’s ability to be ‘agreeable’ to one person, as it is in line with personal taste, while not conforming to more widely held notions of beauty. In this analysis beauty is a more actual quality than mere opinion. 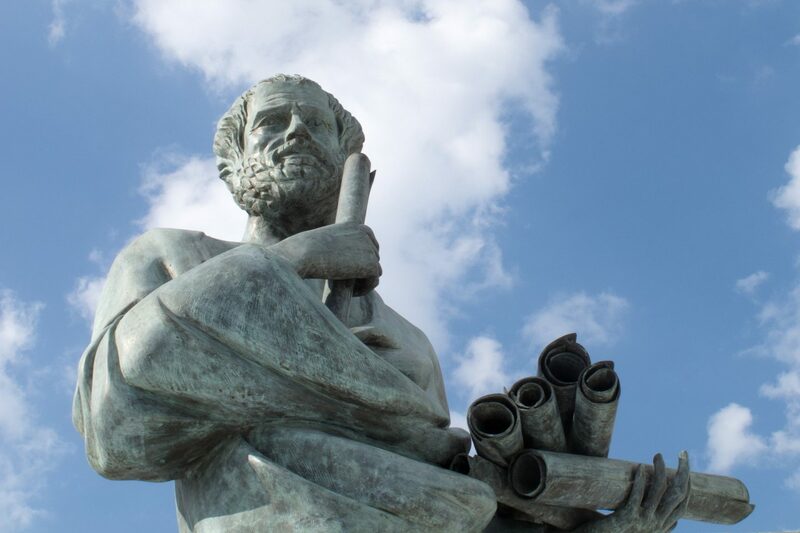 A philosophy of aesthetics can be drawn back to the early work of Plato – in which the classic Greek thinker supposed that all things of sensory beauty are imitations of the perfect form of their objectivity. In this view, each thing that belongs to a category – for example, the category of flower – imitates the most perfect form of flower that exists only in idea, and the closer the object comes to the perfect form, the more aesthetically pleasing it is. Immanuel Kant summarizes the individual aspect of many aesthetic judgements when he says that a man will not argue if another tells him that something is pleasing to him, rather than pleasing in and of itself. For Kant, aesthetic value, like everything else, does not hold beauty or truth in objects, but rather in definitions. This means that the rose itself is not beautiful – it is beautiful when one decides and views it as such and society in general agrees, making beauty a property, rather than an opinion. From the Kantian perspective, the beauty of the thing is the recognition of a truth that is both universal and subjective. 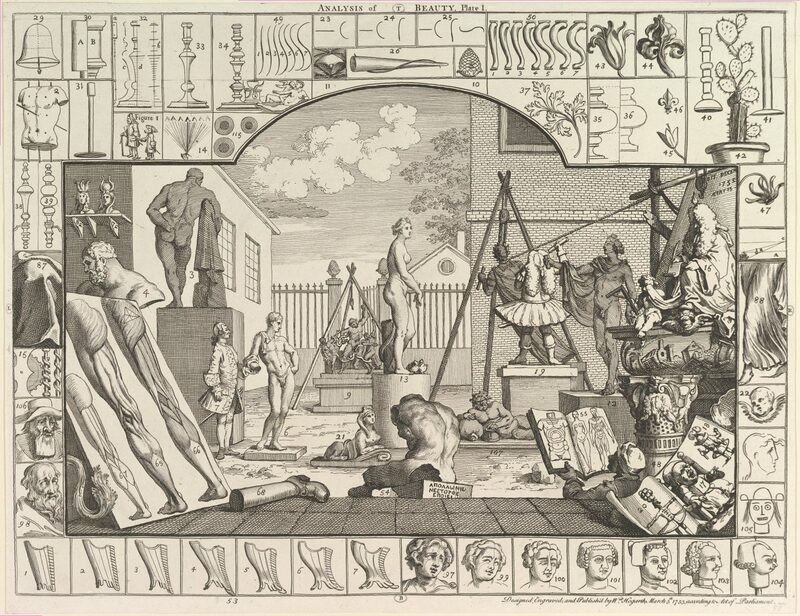 Other philosophers have tried to create a set of criteria with which to evaluate beauty, including analytical thinkers like Edmund Burke and William Horgarth who suggested that beauty includes six basic principles of design, variety, uniformity, simplicity, intricacy, and magnitude. The twenty-first century and the advent of post-modern theory have brought new attitudes towards aesthetic interpretation. In this view, theorists confront the assumption that beauty is central to either art or aesthetics. Post modern views of aesthetics are more interested in the raw, emotional experience of art than what it means. In a sense, post modern aesthetics return the word to its sensory roots, interested not in a philosophized understanding of one universal aesthetic and artistic presentation, but invests the depth of the aesthetic experience in the experience itself. Post modern aesthetics are ultimately interested in the condition or state of being, than in any one privileged master narrative. As a result, post modern art and design use familiar objects in unexpected ways – encouraging the experience of aesthetic interpretation that doesn’t coincide with the narrative of forms. For example, since Plato and his theory of forms would have argued that a chair is a chair because it resembles the form of chair, a post modernist would assert that anything that can be sat on is a chair, thus fulfilling function, and that anything traditionally defined as a chair can be used in a myriad of different ways, for example, as a coat rack, ladder, bookshelf etc… thus complexifying the previous notion of form, and with it singular aesthetic judgment. The great civilizations of history – Mesopotamian, Persian, Chinese, Indian, Roman, Egyptian and Greek – were all centres of unique styles of art and design that contributed towards the modern understanding of art, and the contemporary theory of aesthetic philosophy. One can watch the interpretation of fluid aesthetic through time through the artistic representation of the human physical form. Dating to early Greek sculpture and drawing, the human form has provided a timeless model for the cultivation and evolution of art and aesthetics. Features like proportion, musculature and accurate representation are used as an unchanging baseline through time – allowing artists and aesthetic periods to deviate from imitation to interpretation. Aesthetic similarities in different cultures are also observable in the artistic representation of the human form. Features such as body hair are often omitted, showing a near-universal preference for hairlessness. The universality of some aesthetic qualities are observed in the recognition of many human facial expressions across cultures. In innate ways, humans appear to share some aesthetic judgments on a primal, or instinctual level. Similarly, certain things cause similar reactions across cultures, such as objects of disgust or pleasure, which support a theory of shared human perspective. As with all things human, there will be deviations from all rules, revealing that much of art and life is judged on an individual level. Cultural norms and societal values also influence accepted aesthetic judgments. In artistic works, the female form has seen several incarnations, expressing societal expectations. In some cultures and some eras, curvaceousness and ample flesh are appreciated as symbols of beauty and prosperity. In these depictions, a woman’s health and reproductive strengths are imparted through the shape of her form, also implying wealth and status. In other eras and cultures, the female form is most appreciated slender and well toned, implying wealth and privilege in another time. Physical beauty, of course, differs according to local culture. Aesthetics as a philosophy is differently understood in the post-modern era, and many thinkers now refuse to accept dominant theories of beauty or art. Instead, expression and experience, in the moment, are the aesthetic. However, as a field of study, a discussion continues about the meaning of art, beauty, and meaning itself. Different aesthetic values are found in varied cultures around the world that have been nurtured by diverse natural environments, cultural norms and moral foundations. In India, aesthetic value has evolved through interpretation and representation of spiritual and religious iconography. In India, art and relationships between the physical and the spiritual states are manifested in many types of expression including painting, sculpture, literature, dance, architecture and music. Indian creation stories and other spiritual myths are repeatedly portrayed across the genres of art and life, and the resemblances of life and love to these stories are imbued with aesthetic beauty. 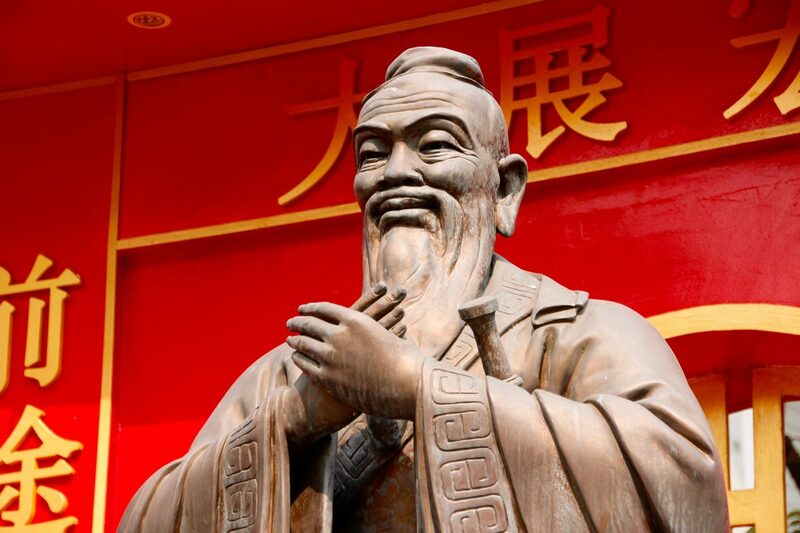 In Chinese history, aesthetics were a more intellectual pursuit, with thinkers like Confucius dedicating himself to the study or art and human nature. As a result, classical Chinese art occurs largely independently of the philosophy of aesthetics and religion. In Islamic art traditions, there is a long running debate about producing representational art. Those opposed to the artistic expression of natural forms argue that, since God created all things perfectly, human imitation is weak and offensive. As a result, most works of Islamic art are non-representational, including mosaics, mosques, and calligraphy, genres in which artistic and aesthetic tendencies can flourish without incurring theological wrath. In contrast, in many Western traditions, creating imitations of God’s creation was viewed as homage and worship. Many great artists have used the inspiration of God, heaven and hell as the foundation of their artistic expression – glorifying the aesthetic beauty of the transcendent realm. While aesthetics are traditionally related to the critical evaluation of art and beauty, the use of appeal and attraction work in many areas of human life. Since aesthetic qualities are experienced by the senses, a pleasing environment can be said to influence people on an unconscious level. With the growth of modern industry, people and cultures have enjoyed a greater ease of living, allowing more attention to go into the details and design of many facets of life. Aesthetics are at work in all areas of modern life – from the seemingly simple artifacts of everyday living to the self-professed complexities of architecture and design. In modern parlance, such practical renditions of the philosophy of art are often referred to as applied aesthetics. In fields like medicine and mathematics, applied aesthetics are used to translate English language terms through other languages with the use of form. In modern Western society, aesthetics are used in the production of advertising with massive and overwhelming success. Images that convey luxury, success and opulence dominate media – and suggest that through the acquisition of the featured product or service the consumer will enjoy a coveted lifestyle. In this modern culture, sexuality is another highly marketed aesthetic. Almost unrelated to the product or service, images of beautiful people make for effective advertising. The use of beauty expressed as symmetry is common in the design of buildings, houses and, more recently, cities. Taking into account the entire sensory life of human beings, contemporary urban planning, architecture, and landscape design all have an eye for the aesthetic. In this sense, modern design is interested in the shape of a city, house or park for more than its function – we are also interested in form – and the expression of both meaning and beauty in our surroundings. Aesthetics are an integral part of the human experience, at least as a perception of beauty and art. Whether or not one develops a thorough understanding of aesthetics as philosophy, we encounter objects of beauty and perceive them as such. Contemporary aesthetics defy a universal rule, arguing that there is no singular definition of beauty or art, but rather that both can be found and experienced in the moment, by the observer.